Cinema advertising giant Pearl & Dean has chosen to support the London’s Air Ambulance charity with the launch of its Christmas campaign, in a push through creative agency Procreate London. 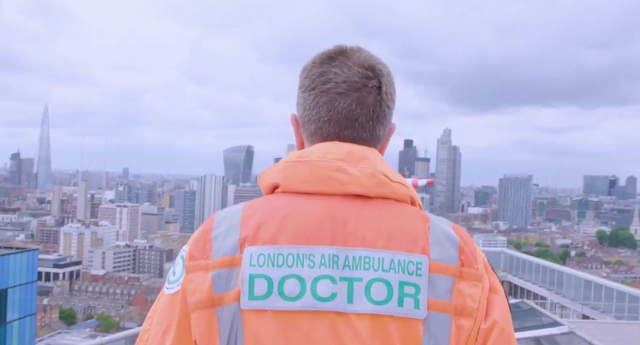 The support will see the charity’s campaign, “It wouldn’t be Christmas for us without London’s Air Ambulance”, aired throughout the capital’s cinemas for four weeks. Procreate London worked with London’s Air Ambulance to write the integrated campaign, which aims to increase awareness of their life-saving work and remind people they are a charity that relies upon their donations, especially during the Christmas period. The campaign includes a film featuring Yair Shahar, whose life was saved by London’s Air Ambulance after he was knocked off his bike. The story, told by his wife and young family, highlights the sentiment that for many of the service’s patients, friends and families, they wouldn’t be celebrating Christmas if it wasn’t for the charity.